This Football Field Goal will make Mom (or Dad) an MVP! All you need are a few simple ingredients and 5 minutes on the clock to score with this after-school snack. 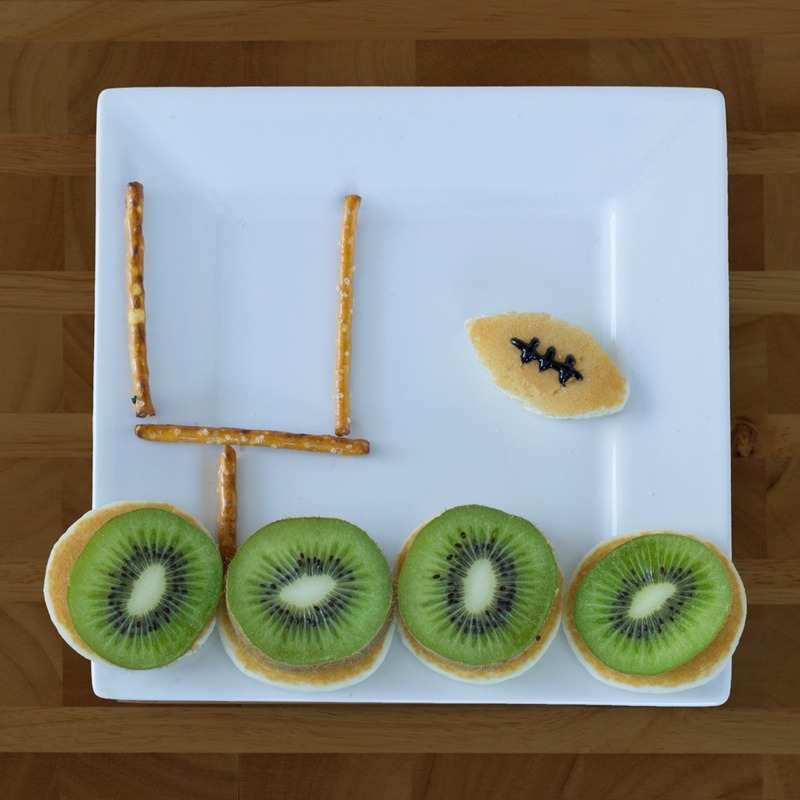 While pancakes cool, cut kiwi into 4 thick slices for the grass and then set up the uprights with 4 pretzel sticks. Place 4 minis on the plate and top with kiwi slices. Then, cut the last mini into a football shape and add the laces with a bit of black icing. Aim your pancake football for the center of the uprights and listen for the crowd’s cheers!